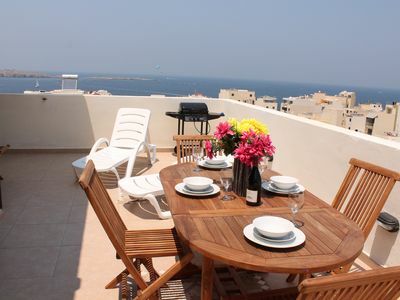 This Seafront Self-catering Holiday Penthouse is located on the seafront of St. Paul’s Bay. The view from the terrace is enchanting. 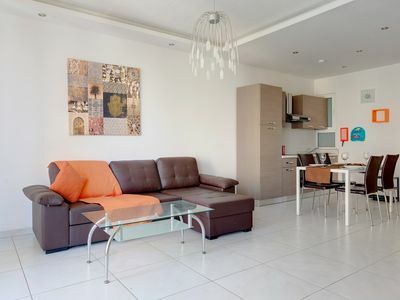 The property is, modern and just a few months old. 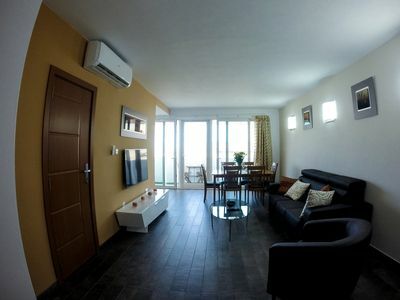 It is located on the 5th floor and is fully equipped furnished and also fully air-conditioned. 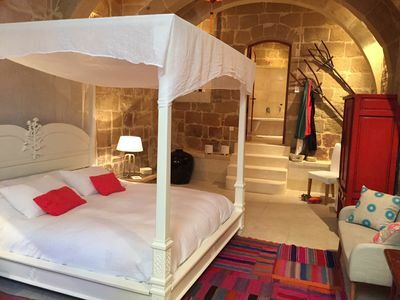 There are 2 bedrooms and en-suite shower. Thus the shower room is accessible from the main bedroom. 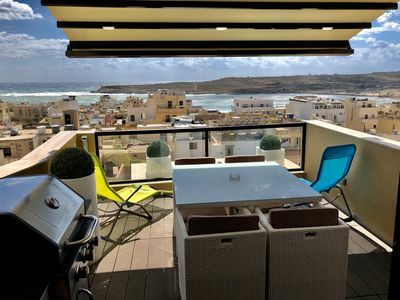 The kitchen/living/dining room leads to a seafront terrace overlooking the bay. 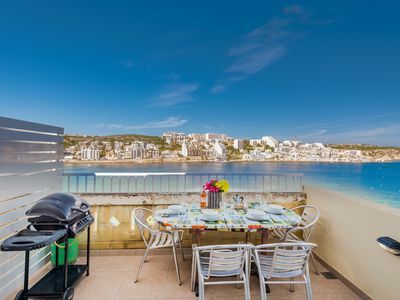 The terrace of this Seafront Holiday Penthouse apartment has a Gas Bbq and Garden furniture. At the main entrance of the apartment block, there are 2 small steps leading up to the elevator inside which will take you to all floors. 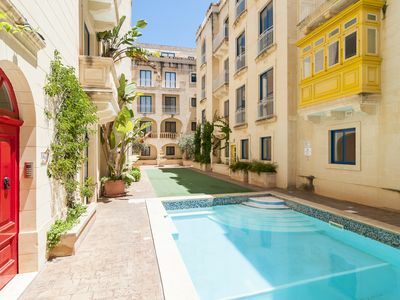 Close by there are two reserved swimming zones, plus bus access to all the major sandy beaches in Malta, such as Mellieha Bay, Armier Bay, Paradise Bay, Golden Sands, Gnejna Bay and Ghajn Tuffieha. 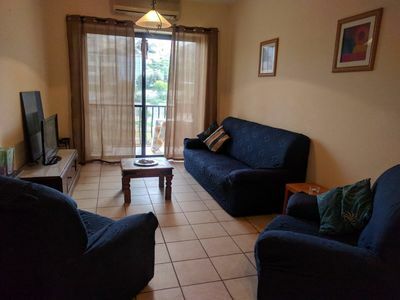 65 sqm internal area, seafront terrace 12.5 sqm with Bbq set, deck chairs, and table, 2 bedrooms, shower room, 5th floor with lift. 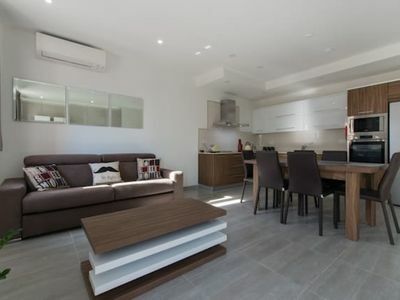 Well equipped kitchen including electric oven, microwave, toaster, percolator, 4 gas hobs, fridge freezer, etc. Iron and ironing board and washing machine. Hair dryer available on request. 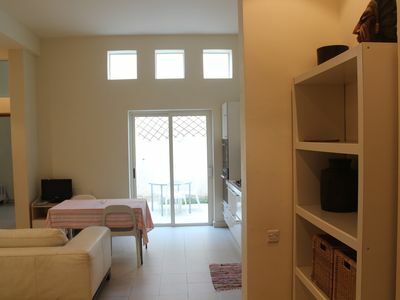 Fans are provided in each room, although all rooms are fitted with a/c units. A big gas heater is also provided in winter. 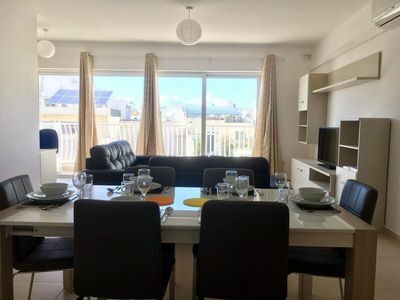 Close by there are two reserved swimming zones, plus bus access to all the major sandy beaches in Malta, such as Mellieha Bay, Armier Bay, Paradise Bay, Golden Sands, Gnejna Bay, and Ghajn Tuffieha. 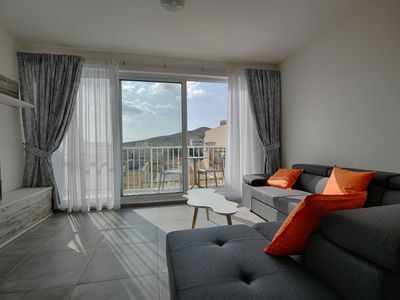 Step a few meters outside the apartment and you will come across the beautiful countryside – great for walks and picnics. 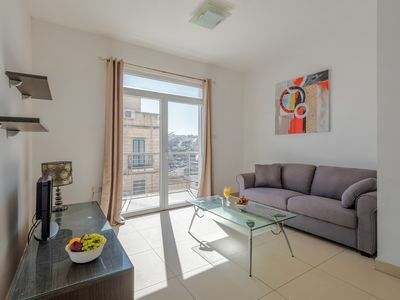 Additionally, the peaceful promenade of St Paul’s Bay runs right outside the apartment so you can take a nice relaxing walk and perhaps stop for a tasty ice-cream on the waterfront. 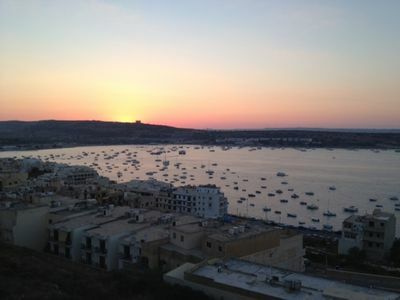 The nearby jetty allows you to take ferries or day cruises to the other smaller islands of the Maltese archipelago, but, the main ferry which carries you across to the sister islands of Comino and Gozo is located in ‘cirkewwa’ not far from the apartment. If you like to take the cheap bus as a way of travelling around the island then there is a bus stop less than a minute away from your front door. However, if you would prefer hiring a car then free-on-street parking is available. These consumptions for water, gas, and electricity should be more than sufficient for normal use for a week. €0.42 per kWh for electricity and €8.60 per cubic meter for water. The water and electricity meters are noted at the beginning and end of the stay. Regarding the monthly rate, please note that the price does Never include bills of gas, water, and electricity. The guest will just pay what they consume. Usual estimation is euro 60/80 per month. · we also can help with airport transfers, car hire, bike hire, boat hire, Hop On Hop Off busses, one day cruises etc. 1. 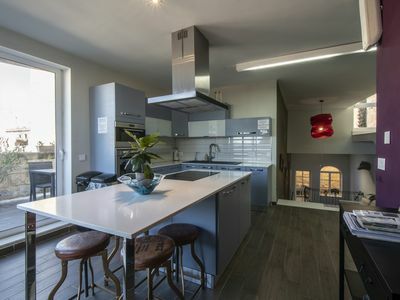 Sea View Luxury 2 Bed Penthouse near Beach! 45. 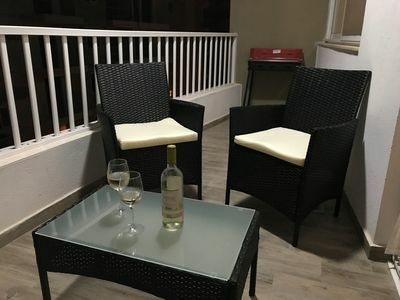 Cozy Apt 2 mins away from Marina Water Front! 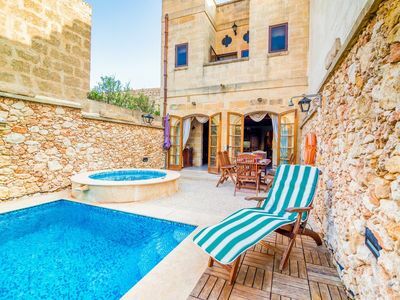 Vacation Villa in a tranquil setting on the Island of Gozo. One of a Kind.